Well, we all survived Munich, with a little help from cheapo pants from H&M so the girls didn't freeze their little legs off. Flew some random carrier called EuroWings (worked fine, but the legroom is less than zero), ate a ton of schnitzel, pretzels, and beer, and weathered some tantrums. to buy this. She was SO excited to buy it on her own. Our AirBNB was centrally located, and Munich's public transportation is great, so we saw a bunch of great stuff, like this awesome palace. 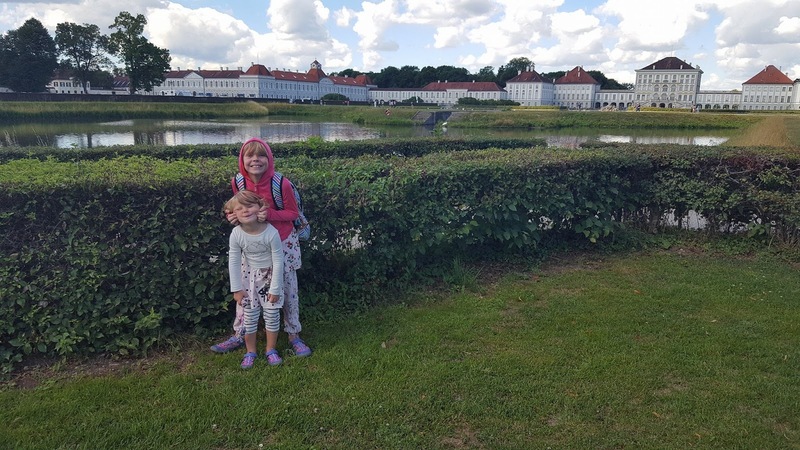 The girls were pretty impressed that palaces exist in real life, not just on Sofia the First. 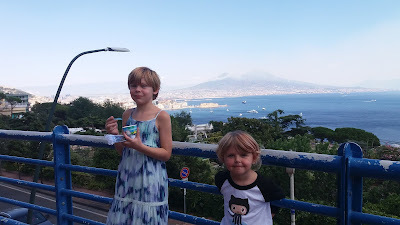 There is a gelateria at the top of the hill, at least. Yesterday, Cecilia had a minor incident in the garden. She fell off a razor scooter, banging up her knee and getting a surprisingly long thorn from a mysterious bush stuck just below her patella. She complained she couldn't walk this morning, and I fielded texts from Patrick about the state of her knee and where/how to find a doctor here for a couple hours. So far, it looks like it's mostly just banged up, as she's doing a lot better with the maximum daily dose of kiddie ibuprofen in her, so no doctor seems necessary. But it certainly added to the stress of not being in a familiar city and not understanding how best to deal with this. There's definitely some homesickness and ethnocentrism going on in this apartment -- wishing that everything worked like it does in Pensacola and missing the comfort of a routine and the optimism that comes with being in a familiar place. But at least the food here is good. These tomatoes taste like MAGIC. For real. On Friday, we head back to the airport. This time, we're doing a weekend in Barcelona. 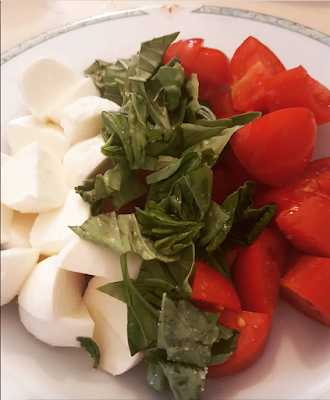 (Did I mention we chose these getaway spots based on: 1) cheapest direct flights from Naples; and 2) countries Patrick and I have never been?) I think that Cecilia, with her love of art, will enjoy the city immensely. And both of the girls, with their love of food, will undoubtedly find something good to eat. 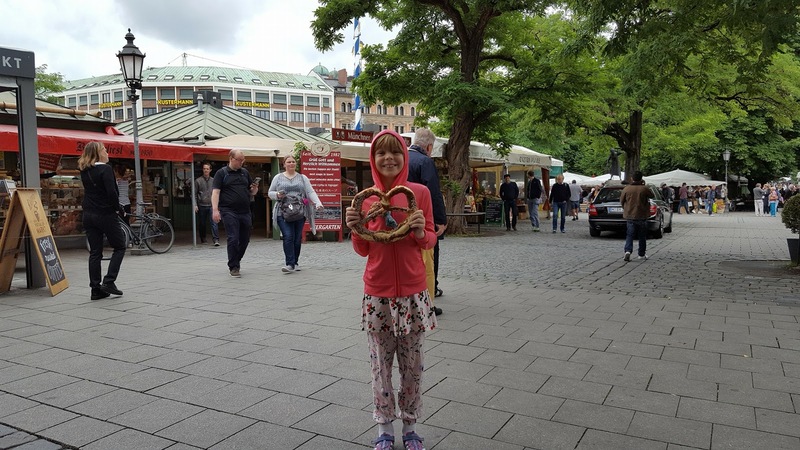 Thus far, Cecilia is a major fan of pizza (in Naples) and schnitzel (in Munich), and Linnea would eat caprese salad and chocolate cookies three meals a day if we let her. I suspect they will both be sorely disappointed in American tomatoes and pasta sauce when we return. But at least they'll have their beloved Mexican food back!